According to rental site Zumper, median rents for a one bedroom in Rittenhouse are hovering around $1,595, compared to a $1,490 one-bedroom median for Philadelphia as a whole. So how does the low-end pricing on a Rittenhouse rental look these days--and what might you get for the price? We took a look at local listings for studios and one-bedroom apartments to find out what price-conscious apartment seekers can expect to find in the neighborhood, which, according to Walk Score ratings, is a "walker's paradise," is a "biker's paradise" and boasts excellent transit options. Listed at $875 / month, this studio apartment, located at 318 S 15th St., is 26.8 percent less than the $1,195 / month median rent for a studio in Rittenhouse. Amenities offered in the building include on-site laundry and additional storage space. In the unit, you'll find air conditioning, hardwood flooring, two closets, built-in shelves and wooden cabinetry. Attention, cat owners: your kitty is welcome here. Here's a studio apartment at 106 South 20th St., which is going for $970 / month. Building amenities include on-site laundry. In the unit, expect high ceilings, air conditioning, hardwood flooring and wooden cabinetry. If you've got a pet, you'll be happy to learn that cats and dogs are welcome. 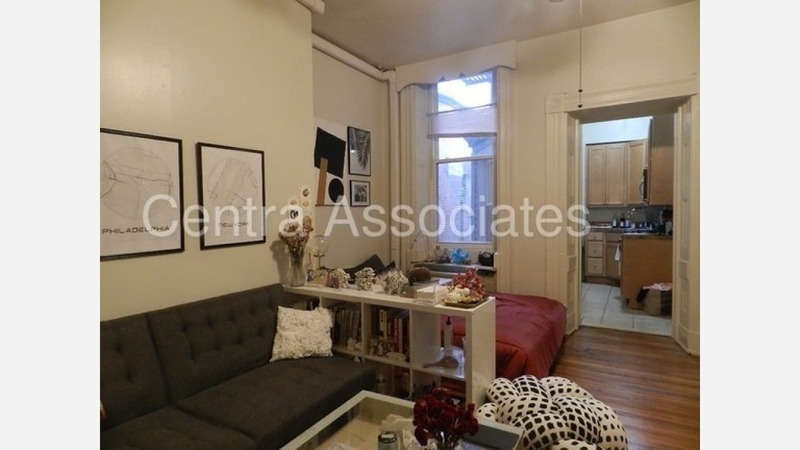 Then there's this 200-square-foot apartment at 2100 Walnut St., listed at $990 / month. The apartment features hardwood floors, central heating and granite countertops. Building amenities include a desk attendant, on-site management and a fitness center. Cats and dogs are welcome. And here's a studio apartment at 1429 Spruce St., which is going for $1,075 / month. When it comes to building amenities, expect on-site laundry and additional storage space. In the unit, expect hardwood flooring, a dishwasher, two closets, a kitchen pantry, a ceiling fan and stainless steel appliances. Feline companions are welcome. To wrap things up, there's this studio residence at 2051 Walnut St. It's being listed for $1,095 / month. In the unit, expect to find hardwood flooring, high ceilings, a stove and a ceiling fan. Pet lovers are in luck: cats and dogs are welcome. Building amenities include on-site laundry, secured entry and on-site management.